We are a noteworthy manufacturer, exporter and supplier of a comprehensive range of Ladies Long Boot that is designed by our skilled designers using high grade raw material. In addition to this, the provided boot is quality checked under the supervision of quality controllers to ensure its optimum comfort and flawlessness. 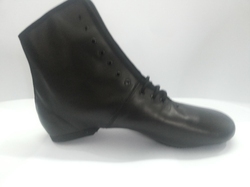 Owing to our advanced manufacturing facilities, we have been able to offer Ladies Blue Leather Boots. These are designed keeping in view the latest fashion in the market and are offered in varied designs including A-141. We offer high quality blue leather boots that are made in compliance with international quality standards. 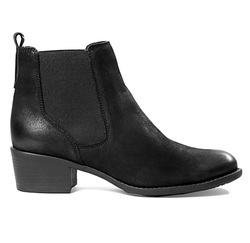 Keeping in mind ongoing market trends, we are engaged in offering a superior collection of Designer Ankle Boots to our clients at very reasonable prices.